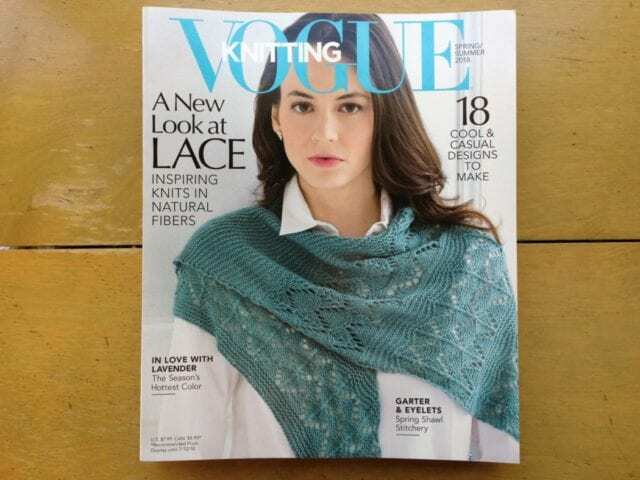 Vogue Knitting and Interweave Knits. 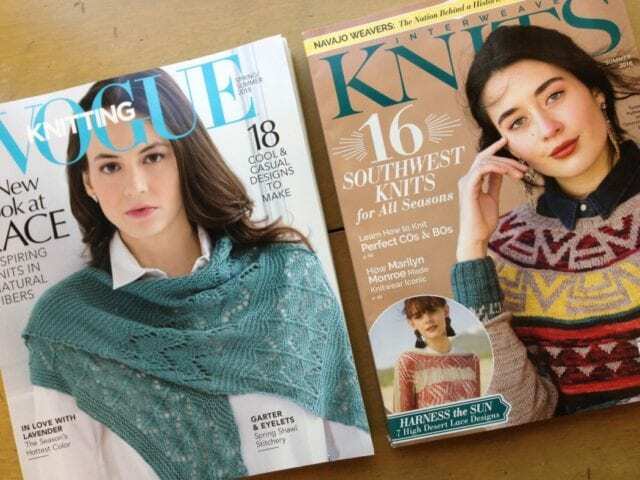 Two new magazines arrived this week, fresh issues of Vogue Knitting and Interweave Knits. 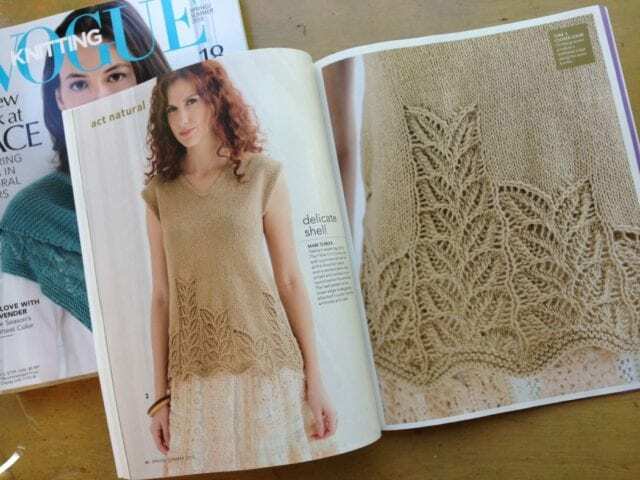 Lace is a theme of this most recent issue of Vogue, with a feature from Meg Swansen on the subject and lots of garments and accessories in openwork patterns. This leafy top is knit with Fibre Company Luma, a DK weight blend of 50% merino wool, 25% organic cotton, 15% linen, and 10% silk. 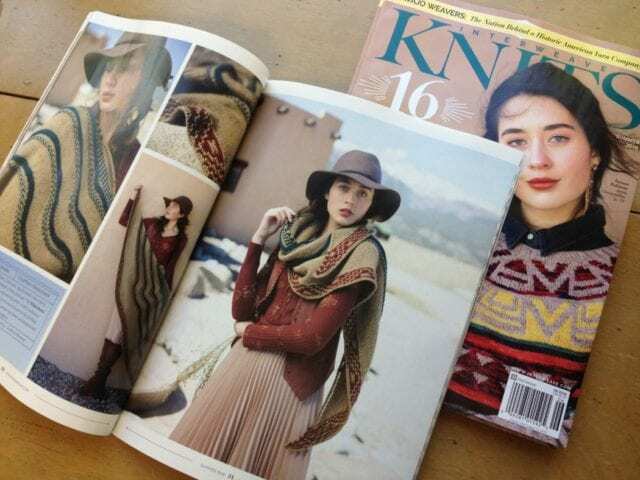 The latest issue of Interweave Knits features a Fibre Company yarn, too – Courtney Spainhower’s “Whitehorn Shawl” is shown in Cumbria Worsted. 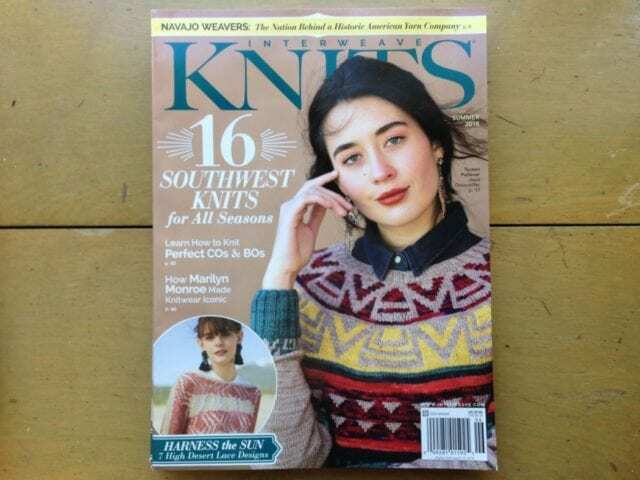 Look for Vogue and Interweave Knits on the teacart here at our shop, amongst the newest books and magazines. See you there!